Heart meltingly cute three quater size replica of the classic Chippendale 'ball & claw foot' chair. 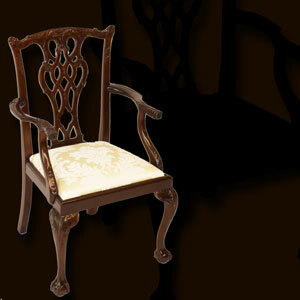 Perfectly detailed with dragons carved into each arm and finished in our classic mahogany colour. Seats are finished as per adult chairs with webbing, foam and some luxurious damask fabric. 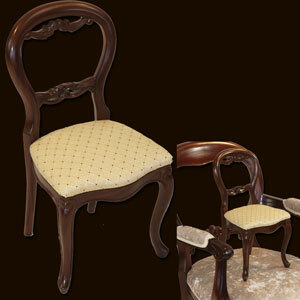 The ultimate chair for Regal rascals or doted dolls!